Since the creation of the first iPhone, Apple has blocked the ability to view Flash content through its web browser. That has also carried over to the iPhone 8, which means you won't be able to watch videos from Hulu and the adobe flash is kept away from your touch. Still you could watch the flash videos downloaded from YouTube or Hulu on iPhone------iFunia iPhone Video Converter could convert flash videos (*.flv, *.f4v) to H.264 or MPEG-4 encoded videos that are compatible with iPhone. The following guide tells how to convert flash videos to play on iPhone in high quality. Load videos to this Mac Flash to iPhone converter by clicking the Media Browser icon at the upper right corner to load your Flash videos (*.FLV, *F4V) to this iPhone Video Converter. You can preview the imported video and capture a photo during the preview. After the preparation work is done, go to the setting panel on the right. Click the drop-down arrow under "Output Format". 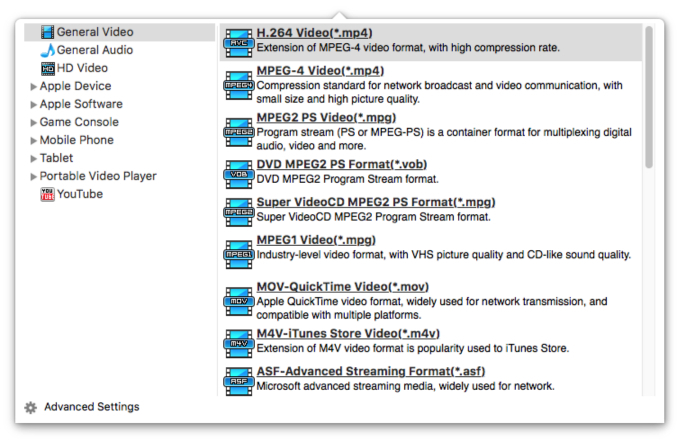 There are output profiles for all kinds of video formats for iPhone which have been optimized and are suggested for use. Here we choose the iPhone 8 (720p) H.264 video as the outpit format. After all the settings are done, just hit "Start" and let this smart flash FLV/F4V to iPhone Video Converter for Mac to do the rest for you! After the conversion, just transfer and sync the videos to iPhone and you can play Flash video on the iPhone without format or choppy problem.